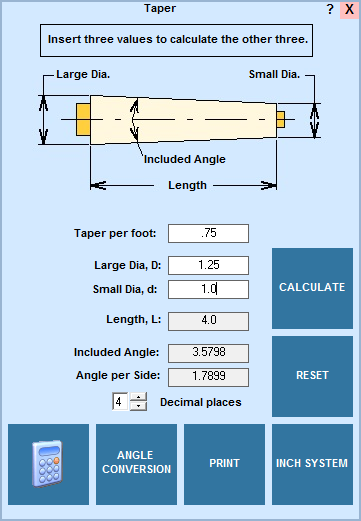 EditCNC - Taper dimensions easily calculated. Calculate all of the dimensions required to make and measure a tapered shaft or tapered pin. You can use this app to offset a lathe tailstock for taper turning, see set a tailstock. You can also convert between inches and millimeters.